Traduit avec une introduction et des notes (1947). 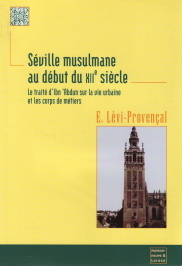 Nouvelle édition: Maisonneuve & Larose, Paris, 2001, 178 pages. Brain Drain. Threat to Successful Transition in South East Europe? Nathalie Hilmi, The Impact of Trade Liberalization of Growth, The Case of Turkey. The Politics of Weak Control: State Capacity and Economic Semi-Formality in the Middle East. Middle East Economies: A survey of current problems and issues. Reconstructing the economy of Lebanon. The political economy of tourism in Syria: state, society, and economic liberalization. Ayça Tekin-Koru, Unexplained Differences in the FDI Receipts of Middle East and North Africa. Israel's Economic Growth: Success Without Security"
"The Political Economy of the Egyptian-Israeli QIZ Trade Agreement"